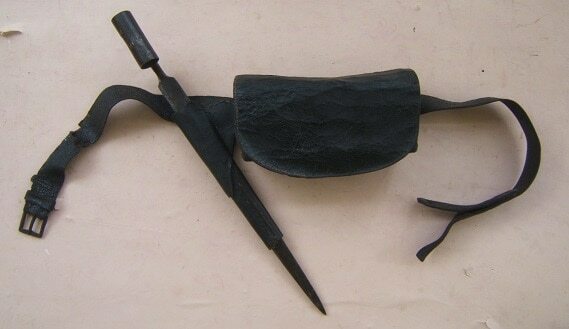 This is an example of a patch knife. 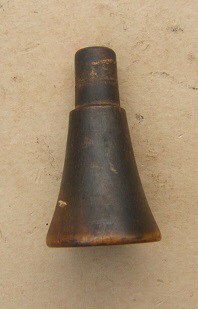 Soldiers would sometimes place a round fabric “patch” in the muzzle of their musket along with the powder and ball to help keep everything more tightly contained and compacted in the barrel. 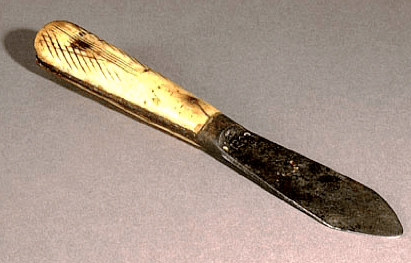 a knife like this would be used to cut the small patches of fabric or available material. For source and more details, click here.